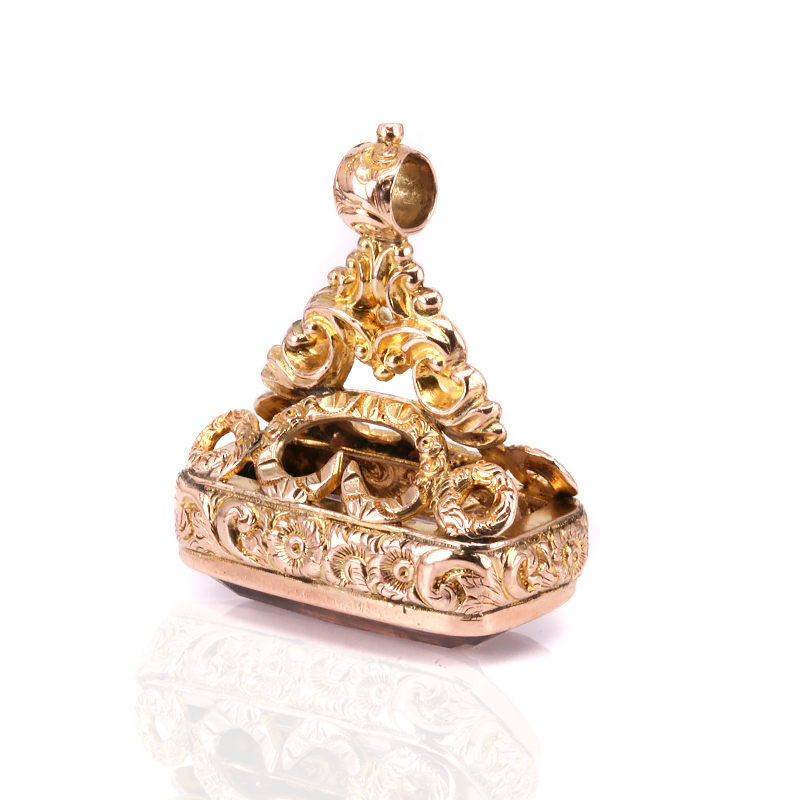 Product code: ES7061 Categories: Sold Items, Sold Jewellery. 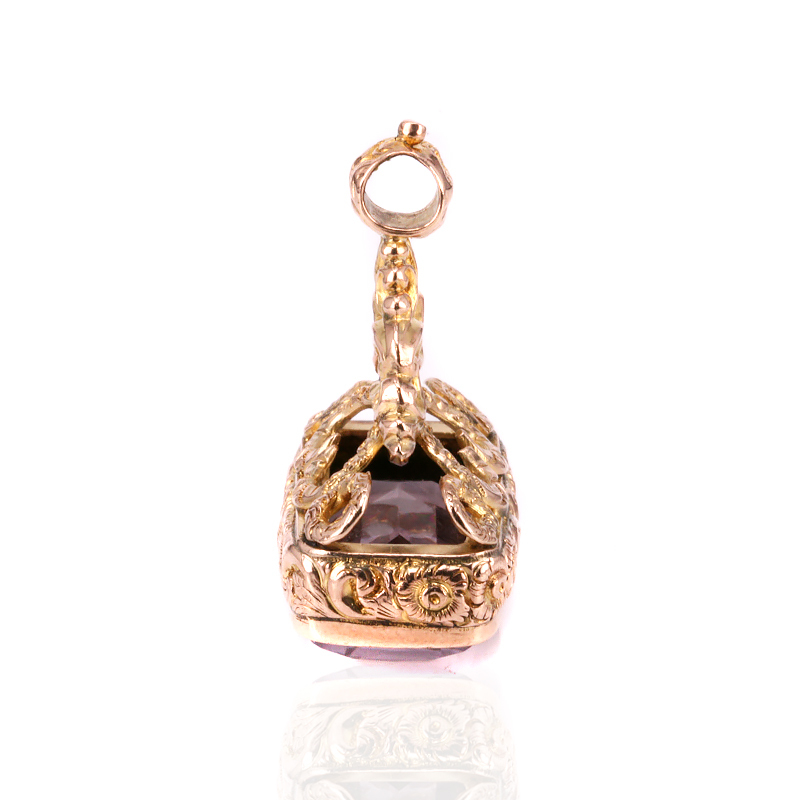 So elegant and with beautiful detail, this antique Edwardian era amethyst seal made in 1901 will look fantastic when now worn around the neck or even attached to a bracelet. Seals have been used for centuries as a way to prevent someone from tampering with a letter by quite literally sealing the envelope in wax and pressing the seal in which would break once the letter is opened. 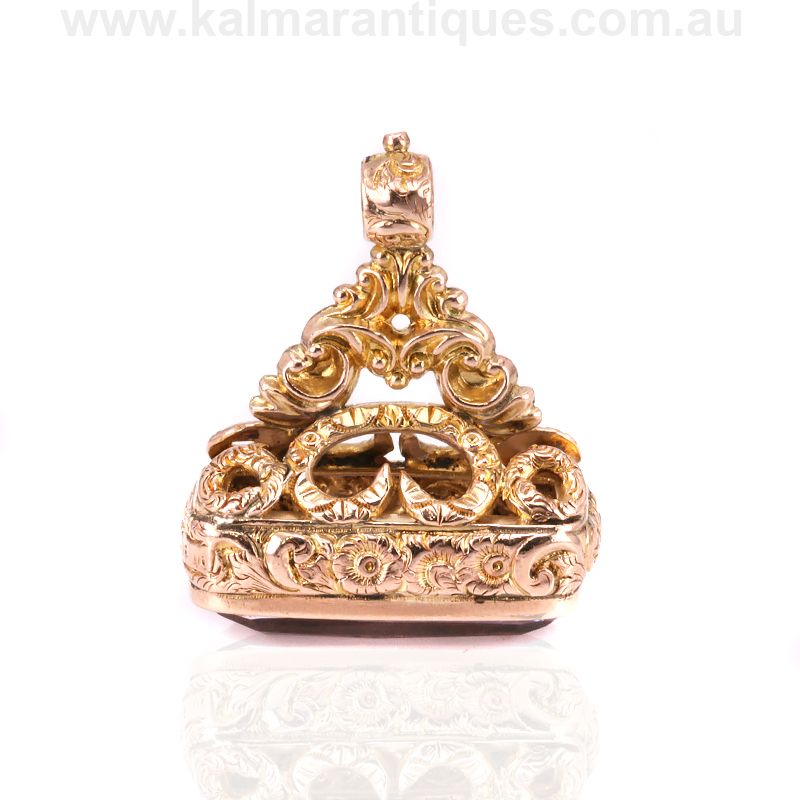 Often made in rolled gold or gold filled, this one is solid gold and fully hallmarked for being made in Birmingham in 1901. This lovely Edwardian era seal measures 33.9mm high by 28.1mm by 15.7mm on the base. Set with a lovely amethyst that captures the light so well, it also complements the gold perfectly. With so much detail and the history behind seals, this will also be a wonderful talking point and conversation starter. For centuries, letters have been closed, hot wax dripped onto the back of the envelope, and a seal pressed into the still warm was leaving an imprint of the seal. This would prevent anyone from opening the seal as once opened, this would break the wax seal. Often the seals were engraved with an intaglio of a family crest or initials that would further prevent the letter being opened then re-sealed by someone else.